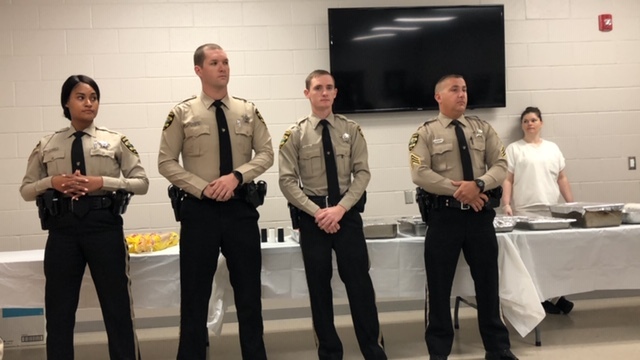 Four Bladen County Sheriff’s Deputies were honored with Lifesaving Awards on Friday morning. Each officer was recognized with a pin to be worn on their uniforms. Bladen County Sheriff Jim McVicker welcomed everyone to the Sheriff’s Office and Chief Deputy Larry Guyton opened the ceremony. “Within the last few months this office has been very lucky to have officers in the right place at the right time,” said Chief Deputy Guyton. He added the four officers represent four lives saved in Bladen County. Next, First Sgt. Richard Allen greeted those in attendance and explained the new program. “The Sheriff (Jim Mcvicker) wanted us to start a new program for when any one of our officers saves life. 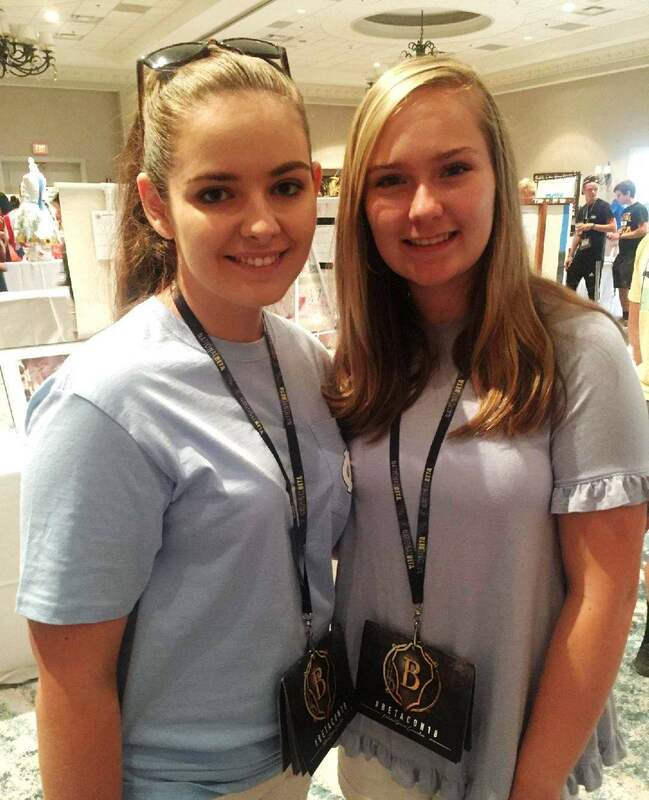 We’ve got a pin we want to award that shows they have saved life,” said First Sgt. Allen. Following his explanation, First Sgt. Allen and Chief Deputy Guyton explained what acts fo heroism the officers performed. Deputy Kayla Moore, who has worked for the Bladen County Sheriff’s Office for three months, was recognized for her efforts to save a student from choking on October 18, 2018. Deputy Moore was working at Elizabethtown Middle at a ball game and was standing near the concession stand when a young male student walked up and was holding his throat, according to First Sgt. Allen. Deputy Moore recognized that the student was choking and immediately applied the Heimlich maneuver on him and removed a piece of plastic from his throat and got him some water. Next, Deputy Matt Bryan was recognized for saving a life on August 16, 2018. According to First Sgt. Allen, Deputy Bryan was dispatched to the Marathon Station in Tar Heel for a possible cardiac call. When he arrived, Deputy Bryan found a male in his 20s in the back seat of a car who was unconscious and turning blue. Deputy Bryan retrieved Narcan from his patrol car and administered it and approximately two minutes later, the young man regained consciousness, according to First Sgt. Allen. The victim was transported to the hospital and released later that day. On November 19th, Deputy Corey Bryan was dispatched to Clarkton for an overdose call. According to Chief Deputy Larry Guyton, Deputy Corey Bryan found a 20 year old female who had been down for about 15 minutes, her lips were blue in color. Deputy Bryan administered Narcan to her and in two minutes she was waking up and had begun breathing again. According to Chief Deputy Guyton she was transported to the hospital and released that same day. On September 17, during Hurricane Florence, Sgt. James Monroe was dispatched for a welfare check at a residence on Center Road. Chief Deputy Guyton said, Sgt. Monroe noticed all of the doors to the house were locked from the inside and a light was on in the living room. Chief Deputy Guyton said Sgt. Monroe contacted a neighbor who told him if the homeowner’s light was on, she was home. Sgt. 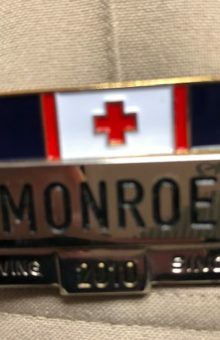 Monroe said something “didn’t feel right” about not being able to get anyone to the door. After speaking with her family, who thought she had gone to a shelter, Sgt. Monroe decided to kick the door in and found the resident in a back bedroom where she had fallen several days prior, according to Chief Deputy Guyton. Sheriff Mcvicker pointed out the Sheriff’s Office did not know about Deputy Moore’s heroism until they received a phone call and letter from the principal. He said they didn’t know about Sgt. 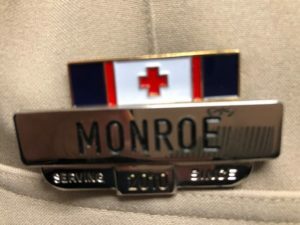 Moore’s heroism until they were contacted by the EMS Director. “My hat is off to all of these people. God bless you for what you do,” said Sheriff McVicker.